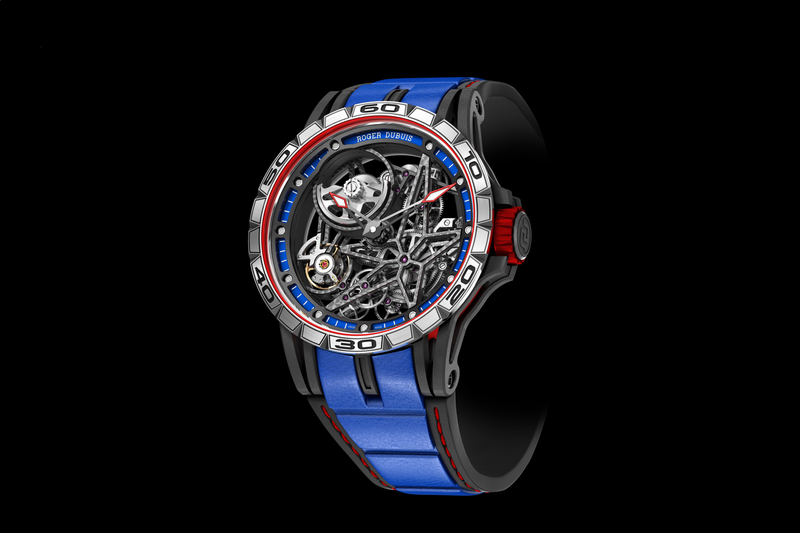 Roger Dubuis will debut a new time-only version of their popular Excalibur Skeleton collection at SIHH 2015. 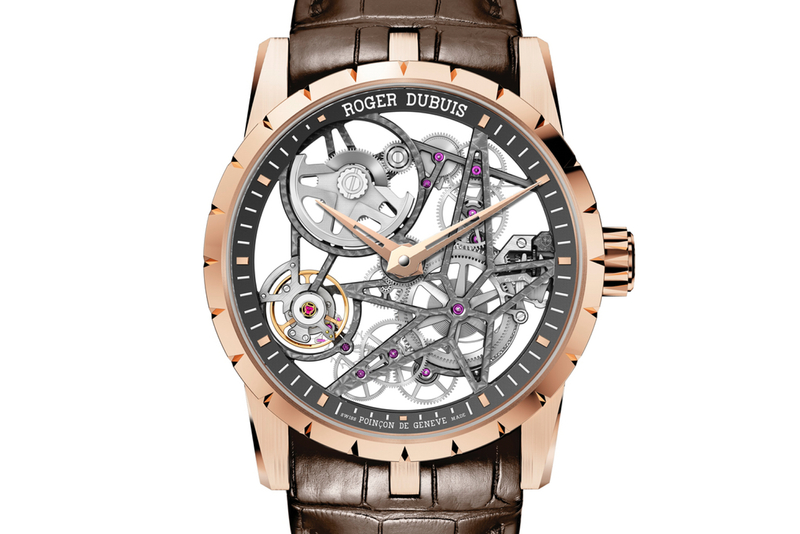 It will be presented in a 42 mm pink gold case, with the same aesthetic as the tourbillon models, such as the distinctive grey rhodium-plated and circular grained skeletonized bridges, but in an automatic with just hours and minutes. 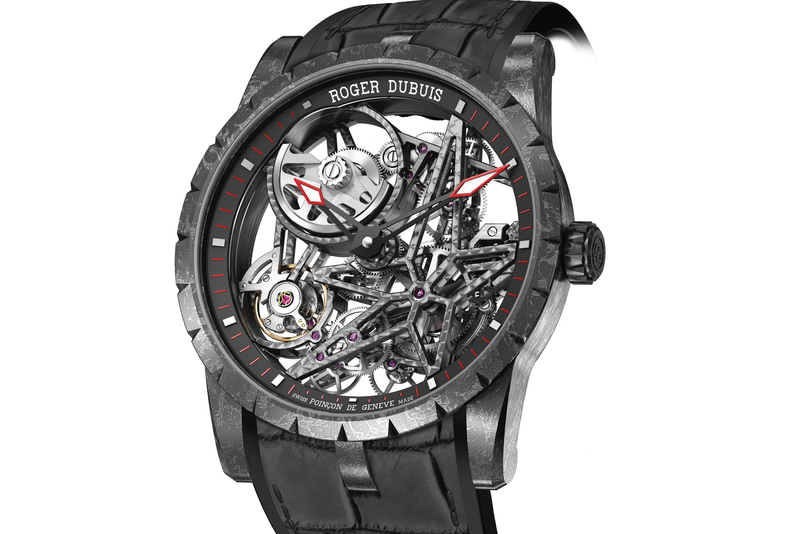 Roger Dubuis automatic caliber RD820SQ is made 100% in-house and the brands signature skeletonized mainplate, bridges and micro-rotor. It has a total of 167 parts (35 jewels), runs at 4Hz, and has a power reserve of 60-hours. 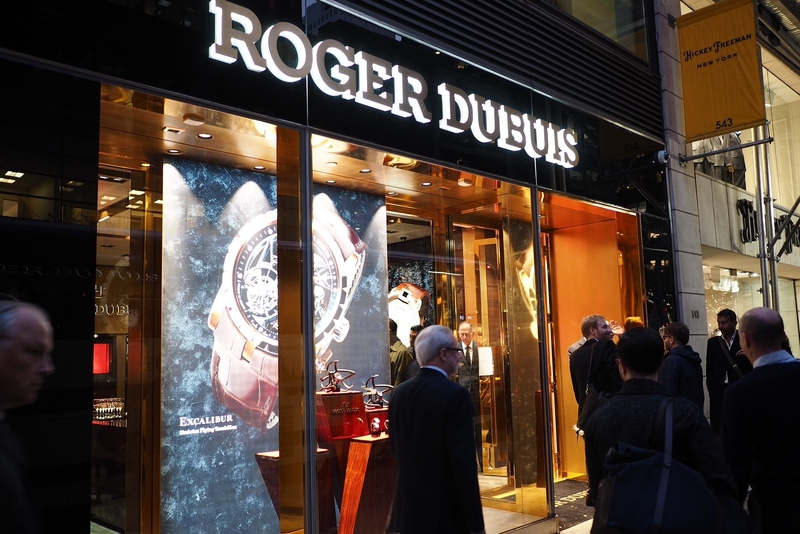 The watch meets the standards of Poinçon de Genève which includes strict finishing and timekeeping requirements. It is paired with a brown alligator strap and matching pink gold folding clasp.